On over 5 acres in the beautiful Mt. 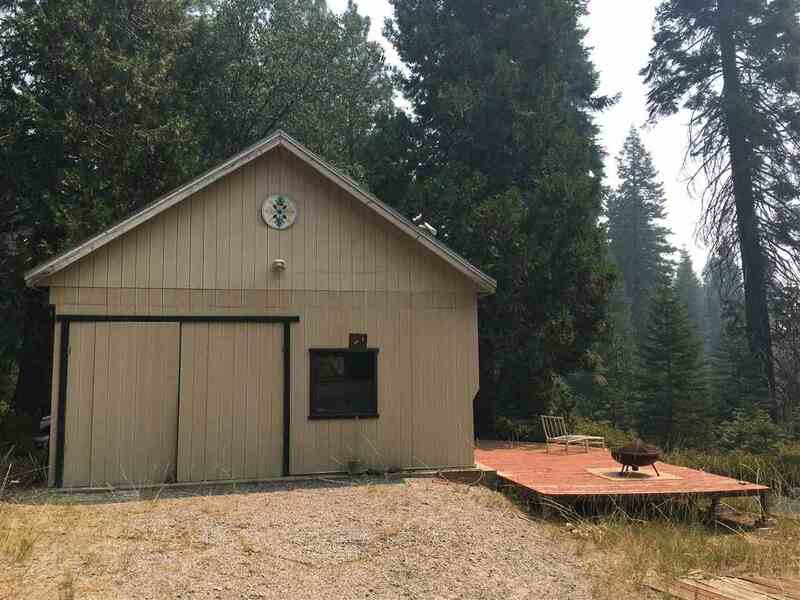 Shasta Forest, this large barn-style building provides the space and privacy you’ve been longing for! Built in 2001 on a cement pad of approximately 24′ x 24′, only a few finishing touches remain to complete your cabin getaway. A well, deck, driveway, and several open sunny areas round out the features of this peaceful paradise in the woods. The historic town of McCloud is only several miles away for your shopping and dining needs. Close to hiking, fishing, boating, swimming, skiing, cycling, and so much more! Property owner’s association dues are currently $500/yr for maintenance of roads. For more information on the off-grid community of Mt. Shasta Forest, see msfpoa.com. Please, send me more information on this property: MLS# 112529 – $95,000 – 3-d-23 & 24 Ravine Ct., Mccloud, CA 96057. I would like to schedule a private showing for this property: MLS# 112529 – $95,000 – 3-d-23 & 24 Ravine Ct., Mccloud, CA 96057.